Music: The priority we live by, but can we afford to use by? Music has been all around us and has made much of style since it’s creation. The indigenous past time went through it’s many incredible cycles. It started with the ominous and vintage vinyl player. That upgraded, eventually, to the casette player. And, as you can guess, that came to the Ipod. And, now the Ipod leads the world in music. But music costs money, and today’s music producers deserve the right to automatically share with their listeners. But what makes this topic so debatable? The fact of the matter is that music producers and artists receiver more money and credit than their audience wishes to pay them. If you look at prices on Itunes, 1.99 may not seem bad for a song, but those prices add up, and as you slowly, or increasingly, make your way up to 100 songs, you’ve wasted 200 bucks. Sorry cash that could have easily made it to a better purchase. Tax hikes recently on music have also brought me to this topic. This heated debate between the consumer and producer have given way to corruption as many fill their hands with more and more cash as prices for songs go up. Spotify recently was filed for tax hike by music producers. That is absolutely insane by my standards as I see paying for the service of listening to my favorite bands an outrage in itself. As a free member, I believe music should be free. The mass market of artists make high above normal, and don’t need the extra green to live. So why price the music? The producers want to earn money, and to do that, they can’t let people listen to the music. They want you to buy the music. Sure it may be their credit, but is a two minute song really worth spending on? I love coding and re-visioning the web. Designing it and redesigning it. Pixel by pixel. And technology and news rule my life. Check out my stories here and you shall truly see what I mean. Facebook’s IPO: The Killer Company’s Decision That’s Killing Itself. I come from a position that once used to be a web for all to share. Copyright content was non talked about, until a resent tragedy that left us all nervous and wallowing in fear. This was the start of an evil opponent to the internet. Many of us take it in some views, and others in another perspective, but I believe this bill should be put to rest. The uprising of many protesters has not been pretty, and more may come if this demon of a bill breaks through this coming Tuesday. This bill, proposed to pass, may, in fact, not be all that it says. It holds truth, also, to cutting off sites IMMEDIATELY. So, say you have a song, maybe on your site. It could be anything infringing. You may not know it, but Comcast could immediately take your site off their IPS. That is incredibly bad in a way that they can actually take you to court. This is an immediate threat that many of us on here have never come to. Having to pay to use pictures, video, or music? That’s insane. Many of you, i’m sure, have heard of Blogger. They’re huge Google company, but SOPA could force them out of business. Blogs currently hosted on there have copyrighted content. So, Google and ISPs would block that. But, I know what you’re thinking. What about my site? If it’s on a domain name, you may be lucky to get the IP address in the box and head to the site while in affect. Global perspective could bring down the internet usage worldwide. And you may be wondering why? This is because foreign targets are suspected as copyright violators. While you may be able to view your site from that country, if you live there, and it contains copyrighted material, you won’t see it here in the U.S. The bill also puts pressure on ads. Many companies rely on ads, Google being one of them. When ads are taken away, so is that company. And the fact that SOPA is doing this is not going to help anyone in this situation. The ads from the infringing site, global sites included, are found on Google now, they will no longer be found later. This is a big regime to keep the money coming to the media companies. Hey, my blog is awesome, let’s put up an ad. Oh, wait. You have a photo, maybe from Engadget or Huffington Post, on your site. Now, your site is shut down, and no ad for you. This may infuriate users, but I see a globally hacking spree coming. Anonymous, the world-famous group, hacked a few sites recently in opposition of MegaUpload shutting down. FBI arrests of MegaUpload’s founders were made, and not much good will come out. And censored search results will come into play. Money is lost and money is gained, and this will not be an easy task to tackle through. SOPA will also make building a startup harder. New regulations put into place will most likely bring less innovation. And less innovation almost falls to a monopoly, or oligarchy of the internet. These rules will weaken the internet indescribably. Say goodbye to Grooveshark and many other free services you use, as building another one will be made even more complicated than the first. Going through domain names is another subject. You may want to go foreign on domains, if SOPA passes, seeing as you may not have copyright issues there. Much has gone through the past 4 months now. Fear and nervousness wretch through your bodies as you anxiously await the gruesome fate of the internet as it lies towards it’s bed of disease. This never-ending virus will push you off from where you started. Anger and rage will soon flourish after this passes (hopefully not). Anonymous has helped by taking sites down today, and many others may be able to bypass SOPA. Other’s will find it difficult and may give up. Vote No at AmericanCensorShip.org, and write to him today. Before the fate of the internet’s hands is left beside the devil himself. The season of giving has headed up so fast, you might not have felt the holidays until now. And the thoughts pile up. What should I buy for the holidays, whether it’s a family member or a friend. But if it’s a tech gift, we’ve got you covered. The many devices emerging this year are great, so for you shop-ahaulics, and you wise money-spenders, we’ve got the list for you. Many tablets and mp3s mare dropping in, plus phones, cameras, and 3d video glasses? Check below and become worry-free with the excellent list. The Kindle Fire seems to be the talk-of-the-town this holiday season, and for many reasons, you can see why. This sleek tablet carries a vibrant 7 inch screen. This is great for viewing HD movies. It’s perfect for most apps, and has a super fast silk browser, cloud support, and more! This is the go-to tablet for last minute shopping. Now, if you’re upgrading from point-shoot cameras to mid-dslr range cameras, this one is for you. The $600 price line may shock you, but it pays off in reassurance from it’s magnificence. 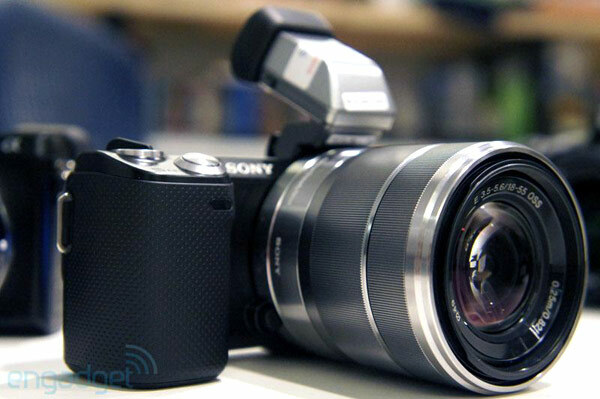 This amazing little device is the smallest micro four-thirds camera with complete dslr sensor and 1080p video. So, to step up your photo game on a last-minute rush, head to pick up one of these babies! Finally, if you’re looking for a great laptop that’s at least 500 bucks cheaper than a macbook, and have money in town pick up this slick beauty. This laptop has great strength with overall fantastic graphic and performance quality, great for work, and free time roaming. This concludes our overview of some last minute holiday gifts. If you wish to include some more items, please comment, and tell us. Minecraft: A Game Of Excellence. A Game Of Legendary Status. Minecraft has reached millions, and continues to grow. For It’s title, it has reached legendary status. 30 million copies sold and a game of never ending excitement has given the name Indie Game a new name. The popular title started off a mere 2 years ago. The game settled off Stockholm, Sweden, as these developers would release the next biggest Indie Game. Minecraft started as a world. Just a world. To create and edit unique buildings and shapes out of blocks. Updates were made, with many changes. They added day and night and new music. New blocks were also concealed in forthcoming packages. The ability to move blocks and items via redstone was also added. Pistons and coyotes. Ghasts of the underworld. Hundreds, if not more, items have been pushed through this immense process, until today. 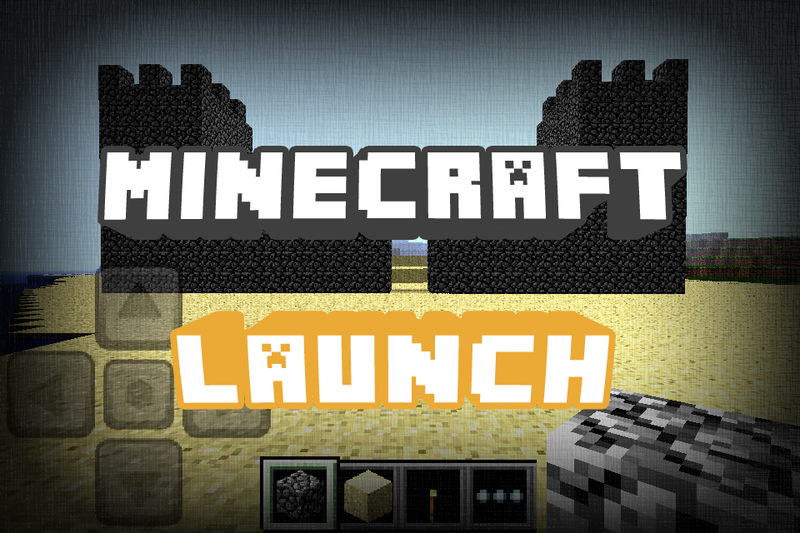 Minecraft 1.0 officially kicked off yesterday! But while that news may mean nothing, the game officially has no glitches or bugs. Continuous updates of the game will launch, as promised. But more to this package was added that made our mouths water. Minecraft: Pocket Edition. Now, Minecraft for the IOS and Android may seem difficult to play, but Mojang perfected the game, in classic mode, of how platformed-gaming should be done. The easy touch and break blocks and glitchless, for now, has gotten this game ranked #1 in the App Store, although not released until yesterday. 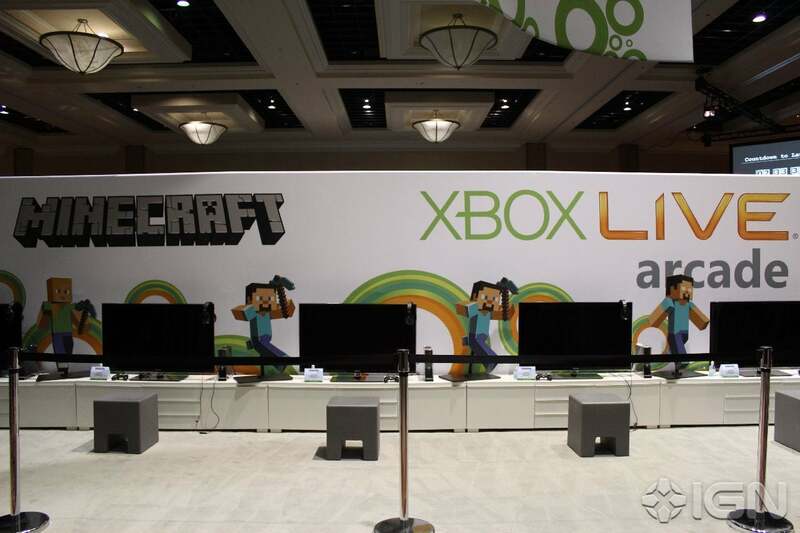 With that being said, Minecraft is also launching…for Xbox! That’s right, and the interface seems outstanding. Check out the videos below, and feel free to share your comments.